Appreciating a miracle—large or small—is something that we frequently don’t do. Truthfully, we take many for granted or try to explain them away. Likewise, a professional makes their craft look easy and effortless. Sometimes the line between miracle and marvelous is blurry. In our world of Photoshop, CGI, and visual manipulation, we have become skeptical of what is real. The old advertisement of “Is it live or is it Memorex?” in some ways rings even more true today. The miracle of restoration. wait until you see the before sample of this segment. 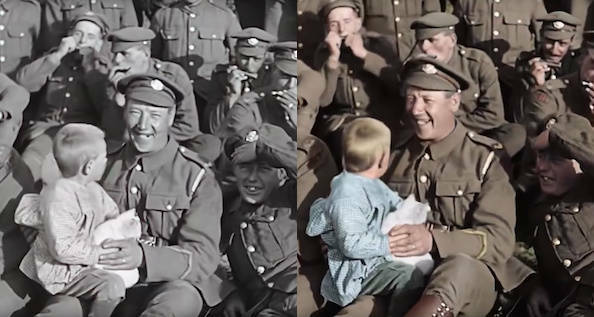 A proper merging of new and old is the wonderful work done by Peter Jackson in restoring over 90 hours of film footage from World War I. Jackson did this for a museum in England and then took selected footage and made a wonderful documentary about soldiers of “The Great War”. The film has an introduction by Jackson which I missed because I was standing in the popcorn line. When I made it into the theater, England was entering the war and men—actually young boys trying to be men—were going to their local recruiting stations and signing up in droves. The film tells the story of average soldiers from enlistment to the trenches of France to home again and what they experienced. Jackson’s grandfather was one such soldier. The feature at the end of the film is Jackson explaining the restoration process and the amount of effort that went into the many years needed to restore the raw film. He also discusses choosing the various shots and audio used to create the film which you just viewed. 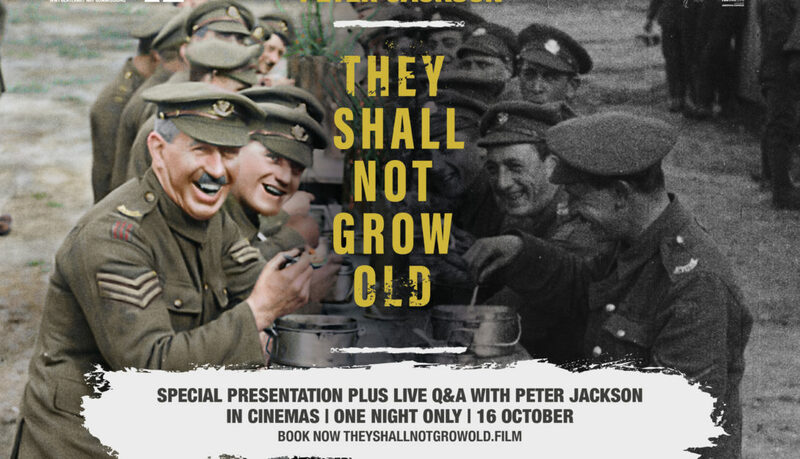 The film’s narration is all done by voiceovers from veterans of the war—mostly recorded later in their lives by the BBC. The restoration of the film is great in black and white but after a short time, the film morphs into full color. 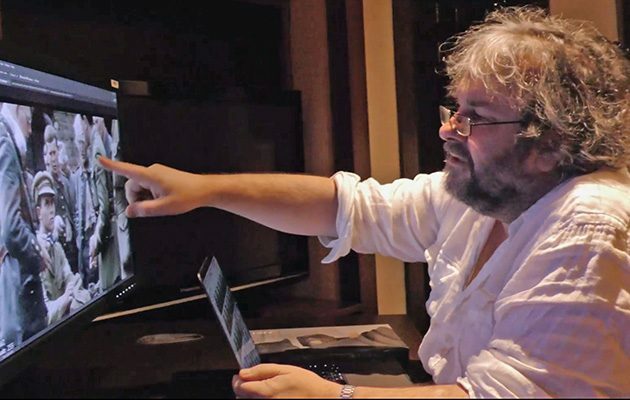 Following the documentary itself, Jackson shows before, during, and after samples; some of which didn’t make it into the film but which are remarkable on their own. He explains that the original film was shot with hand-cranked movie cameras with no sound. He employed not only lip readers to figure out what was being said, but then using the uniforms of the men speaking, hired voice actors from the districts where the men lived to sync the dialogue. What little music is used in the film is authentic to the period. After seeing the film and hearing Jackson describe what happened behind the screens makes you want to watch it again. While you don’t have to see the 3-D version of the film to appreciate it, seeing it in that format lets you enjoy a lifelike quality of the people but see the limitations of the slow framerate of the original film. Jackson modernized the source material but also showed great respect in doing so. I highly recommend that you see this film. You will get a glimpse of life 100 years ago and get a feel for the futility of trench warfare and magnitude of “The Great War”. Please be warned that there are some graphic scenes (in full color) of wounded, dead, and dismembered men. Knowing that you aren’t seeing special effects can be disturbing to some viewers.